Several people in our lives have expressed concern that we are suppressing our grief or being “brave” for the world instead of being mournful in the wake of losing Tori. I don’t write this in defense or out of frustration, and I certainly owe no explanation – I write to simply provide insight into how we have been grieving in our own way in hopes that others like us might find encouragement somehow, and to ease the fears of those who are concerned. I have observed that it is very important to not judge someone in their grief because we are all complex humans with different pasts, different psychological and emotional wellbeing, etc. We all deal with things in different ways and no one way is better. We are certainly no exception. But we are truly doing well. From the very beginning of our journey with Tori we have been transparent and honest. We have shared our struggles, our tears, our pain. So many of my blog posts have been written through tears as I prayed so desperately for her earthly healing. But no one except Brennan knows that. While it has been less than three weeks since Tori went home to Heaven, it is important to remember that we have been grieving since February 13, 2015. Fourteen months. Our grief really began on January 30, 2015 after hearing the CT scan results. Brain abnormalities. So many unknowns. 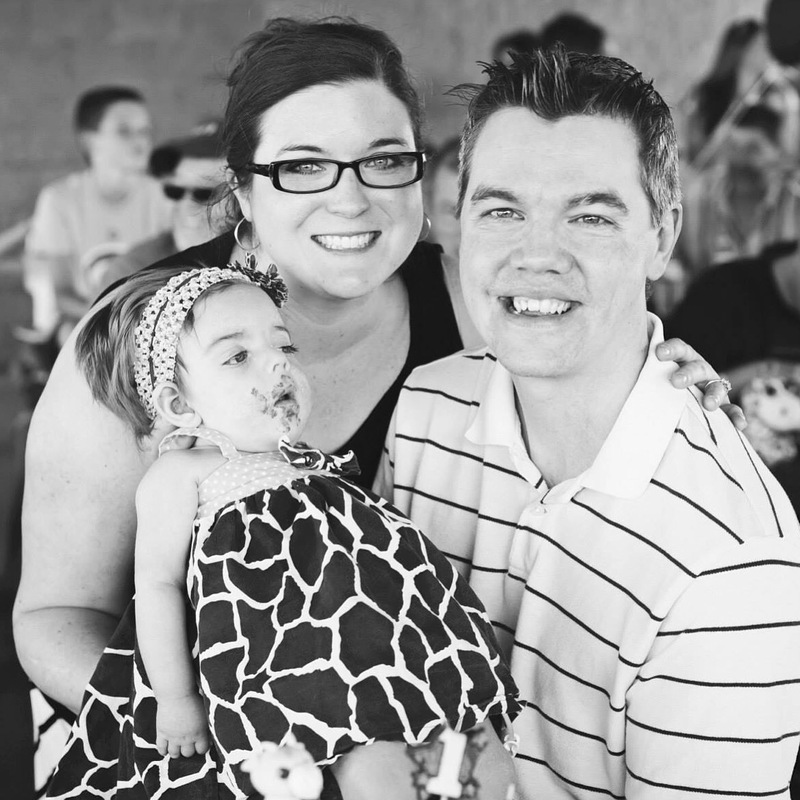 Our grief escalated on diagnosis day – February 13 – as we struggled to comprehend that our six month old baby girl was dying. Dying. With each regression, with each ability lost, we grieved again. And again. Not every week brought tears, because I’m not a naturally emotional person and never have been. But I will tell you that I cried more tears in the past fourteen months as I watched my baby girl slip further and further away than I have cried in my entire life. And no one knows that except for Brennan and me. No one has been in our home continually to observe our grief. We were given the “gift” of preparation for her death, something not all are given. We were able to make memories and have no regrets because we knew our time with her was short. We thoroughly enjoyed our bucket list adventures with Tori and were so thankful for all of those opportunities because we were able to LIVE life so well with her. We found so much joy in those adventures AND in daily life. True joy. We chose joy in the midst of our grief. Sometimes the emotions coincided as we realized that she wouldn’t be with us much longer, but joy prevailed most days. In retrospect, we are so thankful that we were able to complete most of those adventures before she was on oxygen, before the decline really started to happen. As exhausted as we were from all the traveling and activities, we wouldn’t change a thing. As her care intensified sometime around mid-February and her “blue episodes” became more frequent, we grieved anew and lived each day in a constant state of being alert. Each time she went blue I felt such panic wondering if this was a dress rehearsal or if this was the final curtain call. On Easter, as Tori was healed and no longer trapped in a broken body, most of the heavy burden of grief I had felt for so long was lifted. She wasn’t struggling any longer. She wasn’t fully reliant on our vigilance to keep her airway clear from saliva. She was healed! As her mother, as the one who was her full-time caretaker while Brennan worked so diligently to provide for our family, I felt – and feel – relief that my baby is now healthy. She is free from Krabbe. She can SMILE! God’s Word is truth, and His “peace that surpasses understanding” (Philippians 4:7) has truly filled our hearts. We can’t explain it except to give God the glory. I have yet to suppress my emotions and I will not allow myself to do that, ever. It isn’t healthy and it goes against everything I am. Additionally, if I am being fake, how is that going to help anyone in our shoes who might come across my blog and need encouragement? I have no idea what the future holds, and I don’t know what our journey of grief may look like. But, I do know that I will continue to take each day as it comes, and I will continue to live fully in each moment, whether in joy or in grief. And I will continue to blog as transparently as ever, because truth is what changes lives and encourages hearts. We had been shaken because of a rough week with a few scares and many tears about potentially losing Tori. Then this came. Timing is perfect. We didn’t post about the scares at all, so this shows how God has been moving in the hearts of His people to encourage us. Lesa and Brennan-I was a member of Dreamers and Builders and have been following your story for quite some time. Tori holds a special place in my heart. I think about her often and I have done my very best to lift her up in prayer over the past year. Your faith in God is inspiring and I want to commend you both for putting everything in His capable hands. My relationship with God has grown considerably strong over the past few months. I’ve been in growing closer to Him every single day. This morning, I decided to lift up your family in passionate prayer. While I was praying and praising, God revealed something to me. He told me that Tori’s story is nowhere near done. He is just about to get to the really great part! He revealed that her life was always part of His plan and that he was not going to orchestrate a story for His faithful children that was not going to have some surprise twists and not going to give him the ultimate glory. I believe that something that can only be provided and done by God will be coming your way very soon. I have no idea what it is or could be, but I am being told it is beautiful and glorious and that you will be delivering praise to Him for it. I truly believe this with all my heart. I felt the need to write this to you because I feel that you need to hear this right now! I just feel like you may be starting to succumb to sadness and now is not the time! God wants you to no that there is no place for sadness right now, because he is not done! He is about to deliver a surprise. So praise Him right now for whatever is coming your way and believe…. Believe that your daughter is part of His divine plan and his plans are always glorified! There are very few things I haven’t been able to accomplish or obtain in life with a little hard work and perseverance. This applies to nearly everyone who is willing to work hard in life. We live in a world where so much is possible for those who pursue their dreams! This is not to say that things have always gone my way, but I have rarely been in situations so out of my control that there was nothing I could do to change the outcome. As I have pleaded with the Lord to spare Tori, as I have tried to bargain with Him (I’m human, after all) and convince Him that He should allow her to be healed here on earth, it has occurred to me more than once that this situation is so unbelievably out of my control. There is literally nothing that I can do to change the outcome. I cannot find words for my desperation. I often fall silent when I attempt to pray. When I look at her precious face and I watch month after month as Krabbe changes her outward appearance (eyes more closed, face becoming more relaxed) as well as her inner functions, I feel so desperate. So powerless. No amount of money can fix her damaged brain. No amount of love can restore her to perfect health. No amount of hard work and effort can make a difference in her nervous system. I have never felt so powerless in my entire life. As we have said before, we will desperately pray for her complete healing until she is healed here or in Heaven. But we also recognize that God’s plan could be bigger than anything our earthly minds can conceive, and we choose to surrender to His sovereign and wise plan. This is the meaning of true surrender, of total trust. I have no choice but to place her in HIS hands because there is nothing on earth that can save her. Until His plan is revealed, we will love her fiercely, live life abundantly, and choose joy daily. She is worth it. People continue to have dreams about Tori being healed and it fills our hearts with cautious hope. Please continue to share your dreams with us! I just woke up from a dream that I had gotten to meet her and was holding her and she was cooing and smiling away. My three year old has been talking non-stop about Tori today. Said he had a dream about her birthday and playing with her and her orange binky. Last night was the first time I had a dream about Tori. I was going with Lesa and Brennan to one of Tori’s doctor appointments, sitting in the back with her. I was talking to her and she smiled! A huge smile, and then she started to “talk” – it was baby talk and most of it we couldn’t understand but we were all so excited and laughing! She had great head control, her smiles were big and she was happy! I remember thinking a switch flipped and she was getting better! In this dream I was teaching and Tori was in the class I was teaching. I remember thinking inside my dream that I knew God would heal her. I had a dream last night, you and Tori were in it! She was laughing and crawling, and she even said NO! With quite some authority! I’m sure there was more, but I cannot remember it. You were both smiling and laughing. It was beautiful. Brennan and I never expected our lives as parents to go this way – who does? No one has a child expecting to only have them for a few years and then lose them. This is not normal. And yet, that is where we potentially are, defying the natural order of the way things should be according to God’s plan. We are stuck in a waiting game: waiting for a miracle that may not come; waiting (and dreading) for her to pass; waiting for the disease to progress (while hoping for improvement with every test); waiting to see the purpose of it all. Waiting. Waiting is terribly difficult no matter the circumstances; but, in the case of families like us, this waiting is the worst possible kind. We are told the average life expectancy and live each day aware of the potential remaining months of our child’s life, but also knowing that some exceed that expectancy. We make long term plans knowing that we might have to break them; or, we hesitate to plan anything more than two weeks out because we just don’t know. We wait. We don’t know what tomorrow holds – no one does. But, our circumstances seem different than most. We know that a tomorrow looms ominously ahead where, without a miracle, our Tori will leave us far too soon. We don’t know what that will look like, but we have an idea because of those who have passed before. It is a struggle between wanting to keep her here every possible second, but also wanting her to be free from Krabbe and to join Jesus in Heaven as soon as possible so that she doesn’t suffer any longer. This isn’t what parenthood should be about. However, that doesn’t keep us from living in the moment and loving Tori fiercely and passionately today. That doesn’t keep us home, afraid to leave the house. Rather, this has inspired us to fill her life with normal experiences that we would do with a healthy, typically developing child. To truly LIVE life with her by our side. Having a list of experiences to accomplish has filled our hearts with such joy and excitement. We are truly having an amazing time fulfilling each item on the list and creating memories. If God heals her in Heaven, we will cherish these memories with her for the rest of our lives. And if God heals her on earth, we’ve simply got a head start on a lifetime of adventures and experiences to enjoy together. Unexpected circumstances can derail us or they can push us forward – it’s a decision we have to make, daily. And we choose to live.